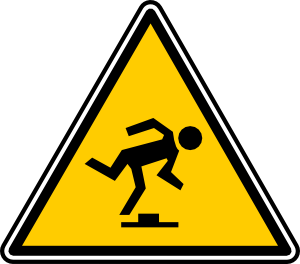 Do You Cause People to Stumble over the Gospel? The Gospel itself may be repulsive to some. 1 Corinthians 1:23 makes this clear: “… we preach Christ crucified: a stumbling block to Jews and foolishness to Gentiles.” The good news of Jesus wasn’t good news to everyone who heard it. The Jewish people rejected the Gospel because Jesus did not fit their ideal for a Messiah. They had a hard time accepting a Savior who would be crucified and therefore cursed by God. Many of the Gentiles saw the material world as evil, a mere shadow of the eternal. That God would come to us in flesh was difficult to grasp. That He would physically die on a cross was even more startling. As the robot from the old TV show Lost in Space would say, “That does not compute.” It was simply foolishness to their “enlightened” minds. This story of God coming to us as a baby, growing up in humble circumstances, dying on a cross and rising again on the third day – this Gospel story is rejected today by people who refuse to believe in miracles, cannot accept that there is a God who cares about people, or who see no personal need for a Savior. We cannot force people to accept Jesus as Savior and Lord. We cannot manually pry open the eyes of those who are spiritually blind. Only the Holy Spirit can quicken the mind and heart of someone who is dead in their sins. But that does not mean we have no role in presenting the good news of Jesus. Jesus made it clear that those who follow Him should share the message of reconciliation in our community and around the world. We have been given the weighty responsibility and high privilege of being Christ’s ambassadors on earth. We need to be ready at all times to share with others the reason for the hope we have in us, but as Paul reminds us, we need to do this with gentleness, respect, and with a lifestyle of holiness. The Gospel itself may cause people to stumble; we ourselves are not to be stumbling blocks. Our words and lifestyle should point to the power of God to transform sinners into saints, dead men and women into living children of God, and utterly lost people into those who have been found in Christ. Does your life speak to the transforming power of the Gospel? Does your lifestyle indicate that you follow Jesus? If the Gospel turns people off, we cannot help that. If we turn people off, then we are responsible. We aren’t to live just to impress people, but that the love of Christ in us and the power of God changing us will draw them to the Savior.